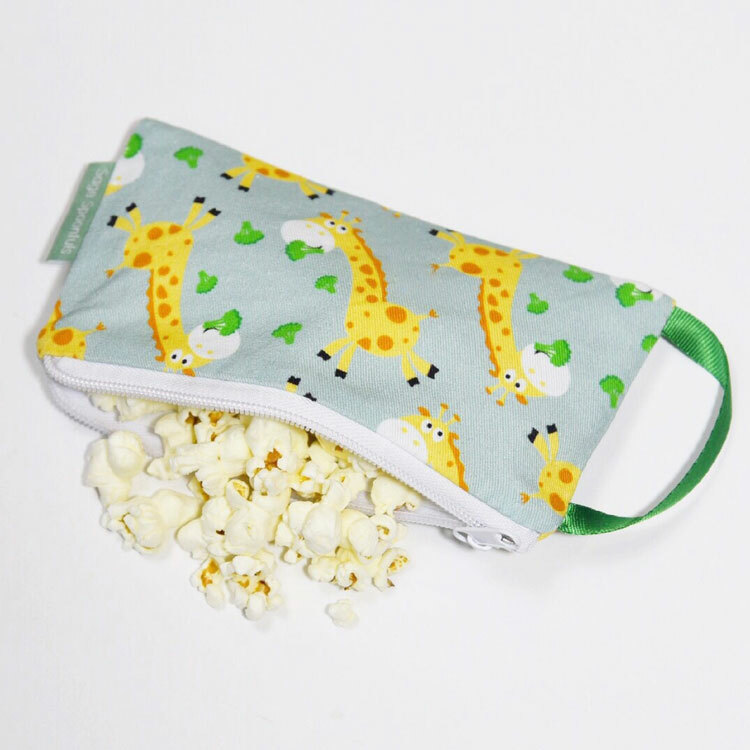 Giraffee Snackie & Munchie Set! Healthy on-the-go! 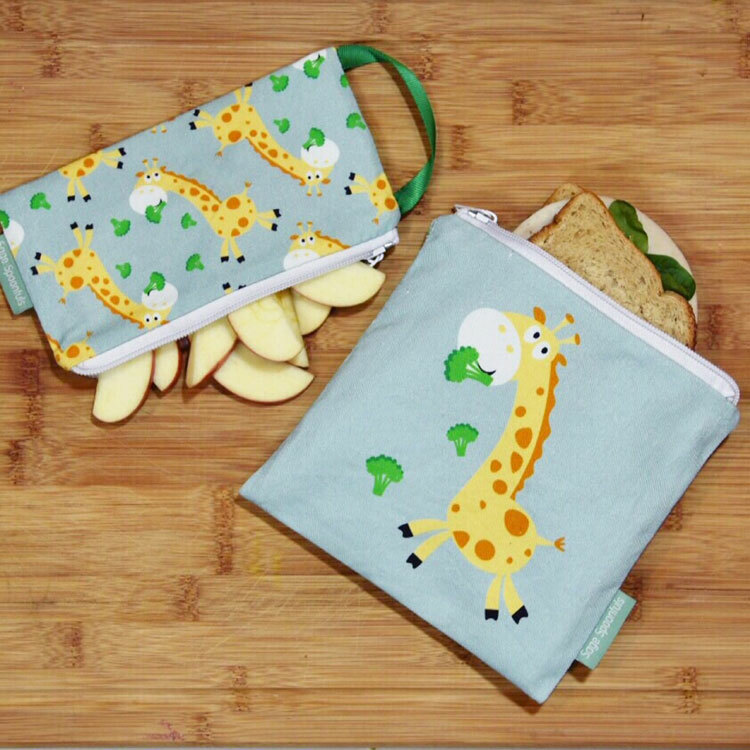 The Snackie & Munchie set from Sage Spoonfuls is the easy way for kids to eat healthy at home, school or on-the-go without the waste of disposable plastic baggies! 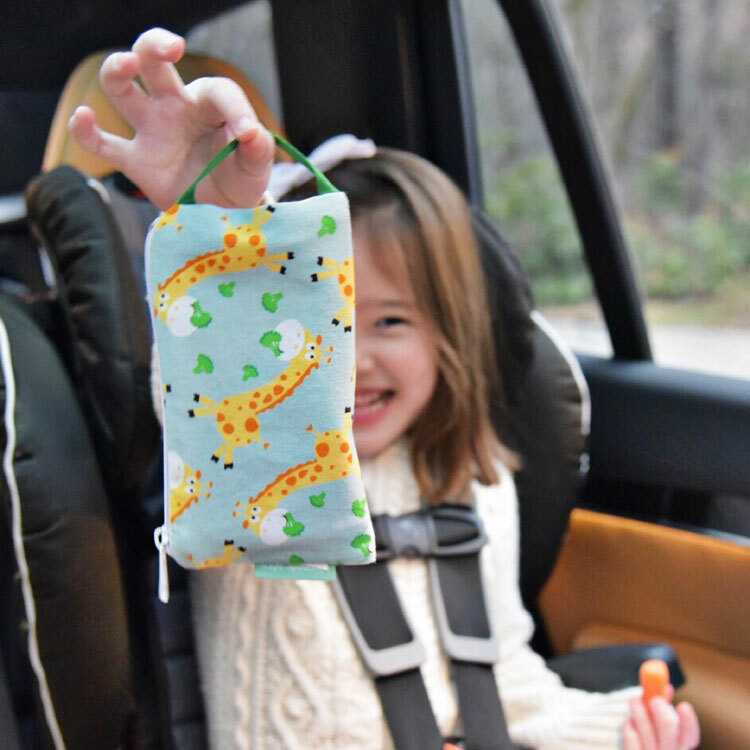 Sage Spoonfuls’ Snackie and Munchie bags are reusable, washable and the ideal size for all of your child’s favorite snacks from veggie sticks to fruit, crackers, sandwiches and more. 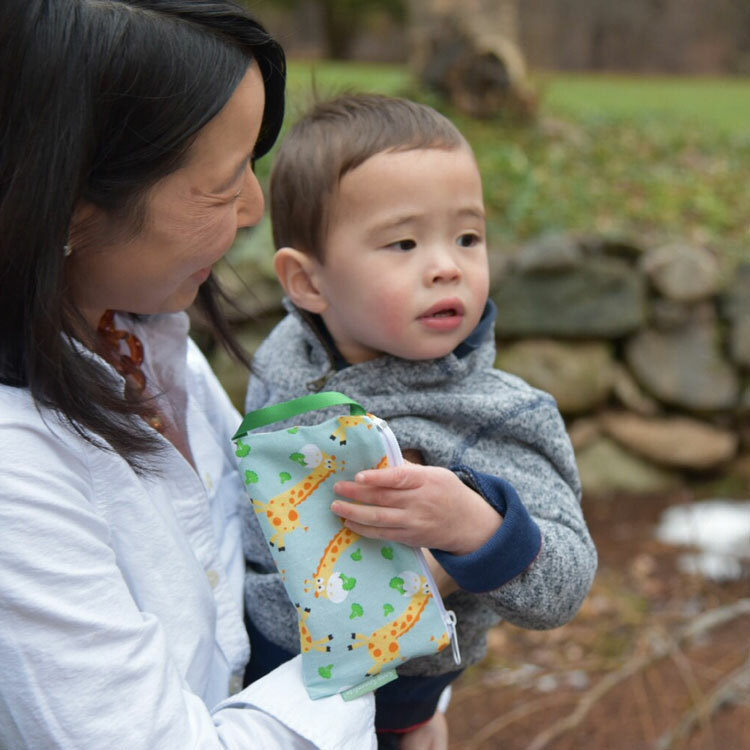 The Snackie bag also has a useful side handle for little hands to hold and can be hooked through stroller, highchair and carseat belts so little ones can’t throw or drop it. 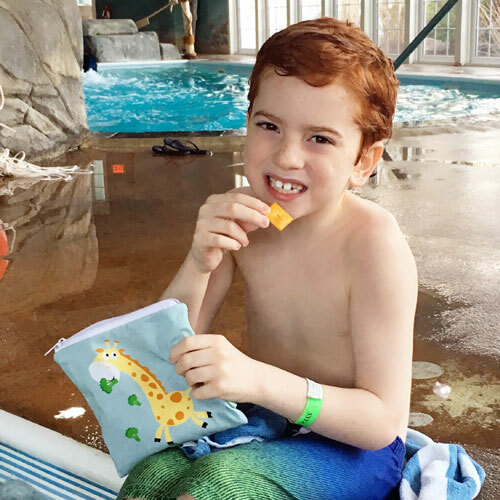 The Snackie and Munchie are perfect for waste free snacking at the park, beach, school, playground, home and while traveling. 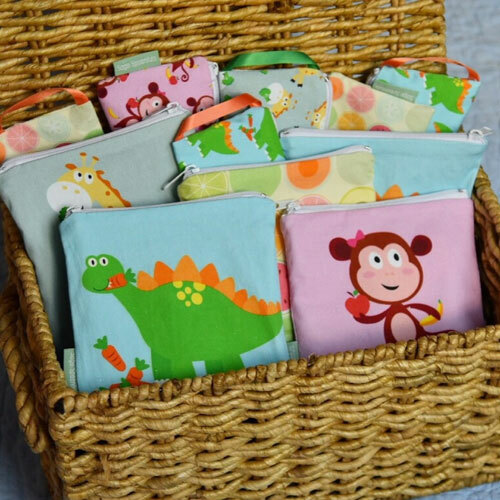 These multipurpose bags are great for kids to tote their crayons, markers, electronics and toys. Not just for kids. They are also useful for adults to carry things like keys, wallet, phone, jewelry, sunblock, makeup and toiletries. Eco-friendly alternative to disposable plastic bags. Designed in New York. Made responsibly in China. 100% cotton exterior, food safe, BPA, phthalate, lead and PVC free interior. FDA approved. Hand or machine washable in cold, line dry. Pull inside liner out before ironing cotton exterior.